The fort that Anderson arrived at in winter 1842 was on the left bank of the Fraser River; a few years later he moved Fort Alexandria onto the point of land that sticks out into the river. Whaleteah was one of the the Native chiefs who greeted Anderson on his arrival there. Alexander Caulfield Anderson called the one of the Native men who lived outside Fort Alexandria “Whaletah,” and Chief Trader Donald McLean (who took over the post after Anderson left) wrote “Whaleteah.” This Native man appeared occasionally in Anderson’s Fort Alexandria journals, though he did not seem to have a particularly close connection to the post. He was, however, one of the principal Indians, and McLean calls him a Chief. Whoever he was, whatever his position, however he said his name, does not matter. He was important to this story — the hunting down, and killing, of Native youth who shot and killed voyageur Alexis Bellanger/Belanger in September 1848. Whaletah is not often mentioned in Anderson’s journals, but he is there. Here are a few excerpts which refer to the man. and from these few mentions we can discover a little of what kind of man he was. Wed. 10th [January 1843] Whaletah, Grand Corps & others went off for Cariboux. The weather is very mild… Thurs. 26th [December 1844] Whaletah arrived and gave in 2 martins… Thurs. 27th [February 1845] 3 martins from Whaletah… Monday 9th [February 1846] Whaletah and other Indians moving off to the mountains for the spring — rather earlier than usual… Tuesday 28th [July 1846] Whaletah & other Indians set out on a tour de chasse to the mountains… Wednesday 19th [January 1848] Today Whaletah’s step-son (Porc-epic) died of the same disease [measles]. His mother, to gratify him while in the paroxysm of fever, exposed him to the cold air, which drove in the eruption & caused the final result. From these records we know that Whaleteah is an active man — a hunter. He appears to be a mature man, old enough to have a step son and to be uncle to a man who could think of murdering an HBC employee. Whaleteah goes on an energetic tour de chasse to the Chilcotins — in his writings Anderson described these caribou hunts, and these Native men can cover a lot of ground in their chase. 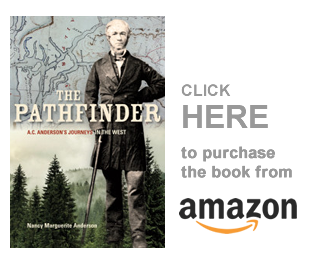 Whaleteah’s fitness levels, his maturity, and his ability to follow a trail, may be the reason he was chosen by Chief Trader Donald McLean to catch and kill the murderer of Alexis Bellanger, in March 1850. It seems that in the HBC history west of the Rocky Mountains, one murder often leads to another, and this story in particular has a whole series of murders and shootings! Bellanger was shot in September 1848. But the deaths continued, as reported below by the clerk in charge of Fort Alexandria in McLean’s absence, and by McLean himself. These journal entries come from the Fort Alexandria journal, 1848-1851, B.5/a/8, HBCA. Saturday 10th [February 1849] Early this morning I was advertised [sic] by Martin that Mr. McLean & party had killed the chief of Quesnel’s River and another Indian Loon [?] After this intelligence Mr. McLean & party arrived [when] the former truly confirmed the report of Martin. Mr. McLean went up with the intention of killing the murderer of poor Belanger & as there was no chance of his falling in with him he killed the instigator (the chief). The other young man (a son-in-law of the Chief) was shot in mistake. Sunday 11 [in Donald McLean’s hand] It appears that the chiefs son in law killed by me was an Indian of this place and some of his relatives being near the Fort I send them word to cross to the Fort, one of them Grand Corps made his appearance to whom I endeavoured to explain matters — he appeared satisfied and spoke very well The Brother of the young man killed also sent word that it was not his intention to do anything against the Whites [we] however keep upon our Guard. 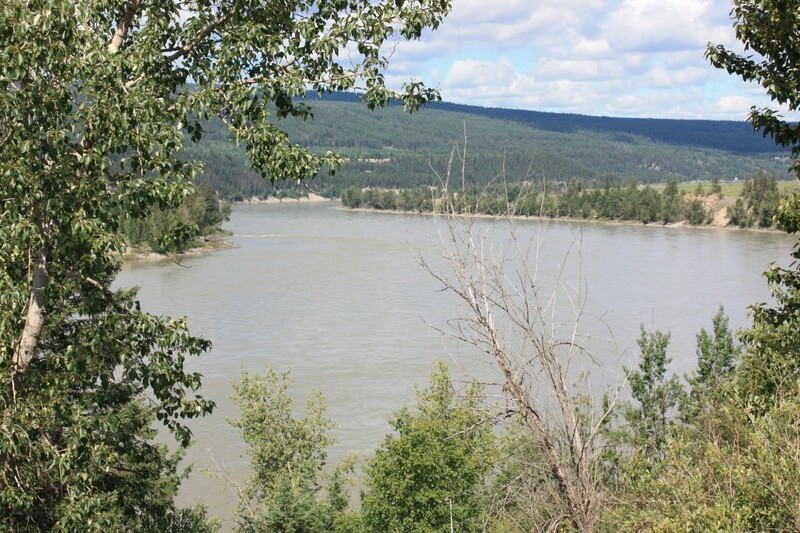 Thursday 1 [March] 13 of the Quesnel River Indians arrived this afternoon they came to the Fort unarmed and begged for peace saying that they were sorry that they had not told me were the Murderer was and offering to give me a guide if I was inclined to go after him again. I told them that the best way to prove their good faith, would be for them to bring me the Wretch here. Let me explain: not all HBC men would have acted as Donald McLean did, either in the shooting of the instigator and certainly not of the innocent man who stood next to him. McLean tended toward violence, more so, it seems, than most other fur traders at that time. He got results, however, and that is all he and his managers cared about — though Governor Simpson tended to disagree. Friday 15 [March] This Evening Bouche and Turcot arrived they discovered the place where the Murderer had remained during the Salmon Season but the Rascal had changed his quarters and they could not discover what route he had taken nor could they find his Cache owing to the quantity of Snow. I have given the Indians notice that I do not at all approve of their conduct, and that it will eventually bring a severe punishment upon them if they persist in protecting the villain. Whaleteah, the Taholin Chief says that he is anxious to have him killed and a party of 10 Indians have volunteered to search him out and bring him dead or alive. I cannot imagine what McLean might have said that would encourage a Native chief to search out and kill another native man, but the reward might have been enough to encourage him to do so. Alternatively, McLean may have suggested a punishment that would have encouraged submission — it is hard to know. Saturday 16. Cold unpleasant weather the party spoken of yesterday have deferred their departure [until] tomorrow, I gave them a little Tobacco & 3 Balls & powder each. This is a history that began with an HBC fur trader helping a Native man survive the winter; the Native then shot and killed an HBC employee because he was, in part, Cree, according to the story. An HBC gentleman then shot two Native men in retaliation, one of whom might have instigated the first murder. The murderer might have threatened to kill additional HBC men; in fact Donald Manson said his life had been threatened. The Fort Alexandria gentleman threatened retaliation, and rewarded Whaleteah and the other Natives for killing the murderer.